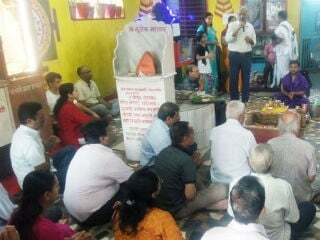 Vijaypur : Many organizations are working for the mission of establishing Hindu Rashtra; but several of these organizations are not working as per Guru’s guidance; therefore, their goal is not clear. We should try to establish Hindu Rashtra with clear goal, taking Guru’s guidance, stated Dr. Babu Nayak, a devout Hindu activist from Bagalkot while addressing Hindu Convention held at Maheshwari Bhavan on 24th November 2018. 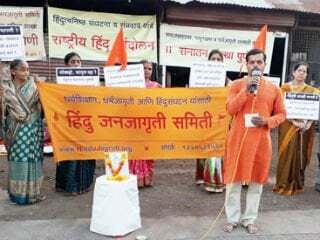 This two-day Hindu Convention was attended by devout Hindu activists from 25-30 organizations from Vijaypur, Jamakhindi, Mahalingapur, Talikot, Nidagunji, Bagalkot districts. 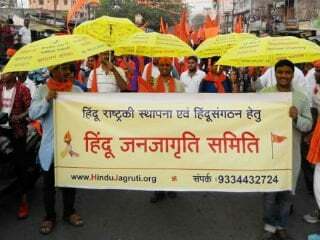 Hindu Janajagruti Samiti has been doing good work. 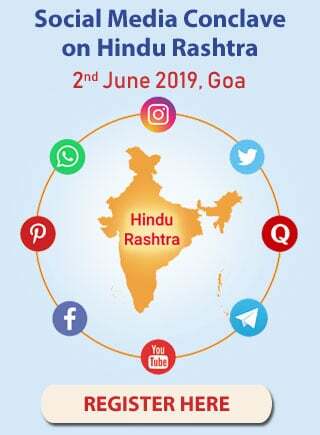 It has been making good efforts for bringing pro-Hindu organizations together for establishing Hindu Rashtra, stated Shri. Sidramesh Aramani, a retired army officer. Presently, it is necessary to work with unity for fighting against attacks and injustice on Hindus. 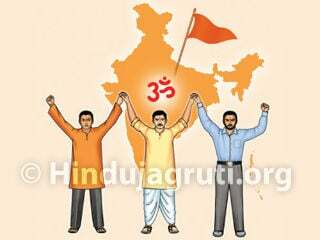 All Hindus are required to give some time every day for establishing Hindu Rashtra. One should work with serving attitude for the mission of establishing Hindu Rashtra. We have to fight for protection of Dharma. Cow is a Universal mother. We have to be committed to the mission of protection of cows. Principles of 33 crores Deities reside in cow. If people, who regularly worship God, keep away from protection of cows though there is presence of all Deities in her, what is the use of performing puja regularly ? Shadow of third world war is looming large considering the present condition of world. Jihadi terrorists can attack India any time, Neighboring countries are just waiting to divide Bharatmata. India’s internal and external security systems are not strong. 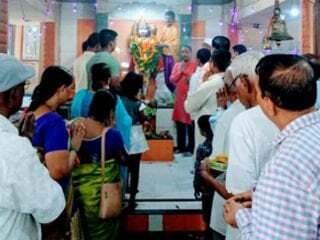 Hindus therefore, need to devote more time to activities related to protection of nation and Dharma while continuously remembering God and become capable to receive God’s grace by chanting His name in such period of strife.